With the optional E-Z Fold Truss Dress Kit, your presentation can take on a more professional and finished appearance. Side drapery helps eliminate distracting lights and background and is held up by sturdy aluminum braces. In 1959, The Screen Works, then known as Wilcox-Lange, began as an equipment and labor support company to the fledgling new industry of Audio Visual. 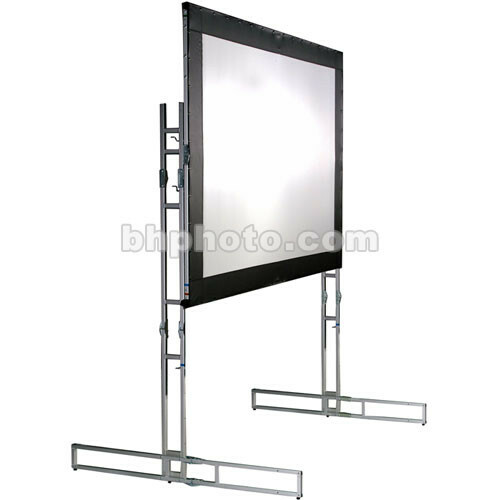 Identifying a need for portable projection screens for the "traveling shows", the company began manufacturing their E-Z Fold brand of screens. Since each show was unique, custom screen designs, shapes and new format sizes became a necessity. As the industry quickly grew, so did Wilcox-Lange, which became The Screen Works, a worldwide supplier of lightweight, portable, affordable projection screens and trim kits.